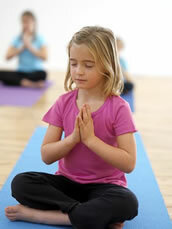 Recently I got many enquiries about yoga for children, so I decided to give it a try. We will have a tester class on the 8th of April, Wednesday, right after Easter (time to be confirmed). This class will be 60 min long. I am planning on combining yoga and simple dance sequences to keep it fun and entertaining, and to work on improving children’s posture. We would also focus on other aspects of yoga, such as Pranayama (breathing techniques for stress relieve) and meditation (to improve focus and concentration). – Eases anxiety and tension. – Enhances focus, concentration, comprehension and memory. – Encourages respect for oneself and others. – Reduces stress and teaches techniques which help to manage stress.